Older PCs and technology are bound to be a drag on resources at some point. Legacy systems often require IT support, which turns into downtime for employees. And then there’s the cost … whether it’s in lost productivity for users, extra time for IT, repairs, or parts replacement. While many companies hold back on replacing older technology, Facebook takes a completely different approach. A recent CIO Journal blog captures some insights from the company’s CIO, Tim Campos, who puts employee productivity first and gains valuable IT efficiencies in the process. This approach comes to life via the Facebook help desk. While many organizations try to cut costs with outsourcing, Facebook sees it differently. If support is far away, “you have more demand into your help desk because little things don’t get fixed and they become big things over time,” Campos says. So if a Facebook employee calls the help desk more than twice on any given computer issue, the device gets replaced. It’s that simple. In Campos’ view, the cost of a laptop, $1,500 to $2,000, is minor when compared to the productivity impact of an employee making $100,000 per year. He has a point. Grab some pretzels—or a keyboard? They also take an innovative approach to tech accessories by making them readily available in vending machines. Every building has two vending machines on every floor stocked with things like keyboards, cables, and headphones. 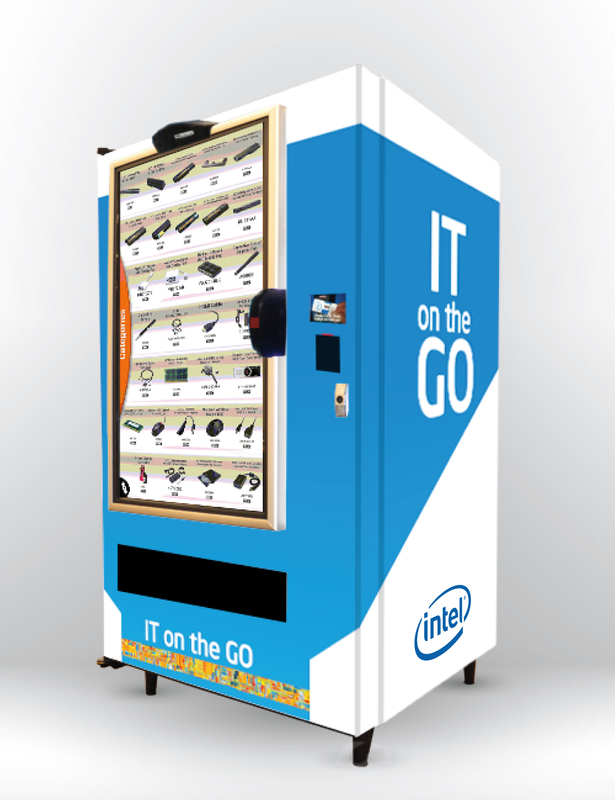 Intel IT implemented “IT on the Go” vending machines in 2012 and is continuing to expand the pilot. The second-generation units are equipped with sensors and optical and touch screen features. These examples reminded me of the importance of user-centered computing, and how putting users first and giving them a say in the technology they use can absolutely benefit the business. What are some of the innovative approaches your company takes to improve productivity?